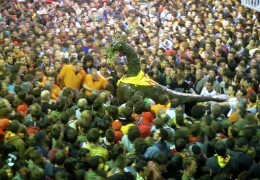 Dragons tour in Barcelona. 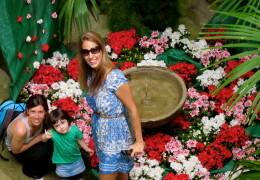 Private family tour! Sharpen your children’s deductive skills on this 2.5-hour tour of Barcelona. 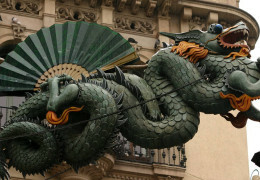 They will hear medieval legends, and learn new ways to see the old and mysterious buildings of the city centre, through the courtyards and narrow streets, from the dragons on the roof to the cobblestone streets. 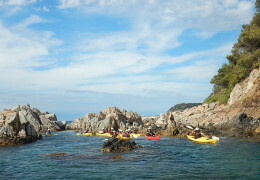 In the morning we will step off the mass tourism of Barcelona to discover the impressive and beautiful Costa Brava. We will discover Calella de Palafrugell, a small delightful fisherman village of withe houses that reach right to the sea-front. 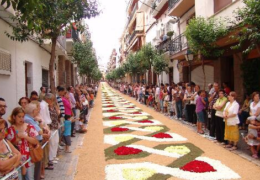 In the afternoon at Girona, where you’ll enjoy the floral decoration of the monumental city and the courtyards, which are opened to visitors in “Temps de Flors” (Flower season Festival), held only once a year in May. 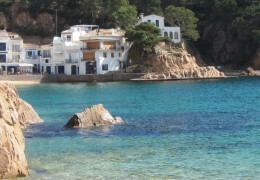 Step off the mass tourism beaches of Barcelona to find the beautiful and hidden beaches of Costa Brava. 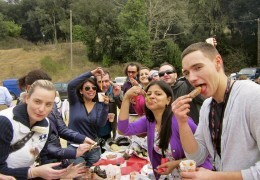 The group will head to Palamós or Tamariu, a fishing village, to experience a feast for your senses. 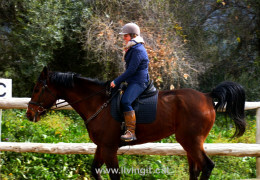 Although it seems impossible to practice horse riding in the crowded cities around Barcelona, a few minutes away from the city you will find a place where it is a real pleasure to mount a horse. Wear your boots and put your pants on! 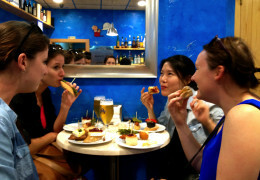 Combine wine, food, tradition and culture in Barcelona. 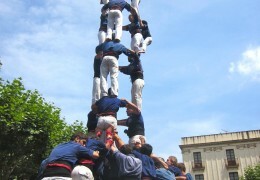 A combination of Barcelona’s vibe, Catalan food, local traditions, and unique restaurants.. Do not miss the opportunity to take part in this breathtaking activity between human tower builders. 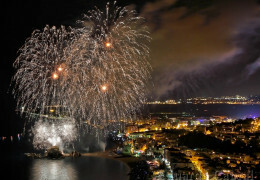 It is declared UNESCO Intangible World Heritage of Humanity. 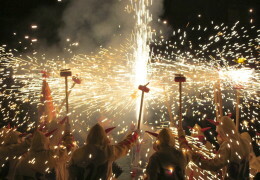 On the last Sunday of January, Valls will celebrate “La Calçotada” (barbecued spring onion festival). Taste spring onions the local way and you will love them! 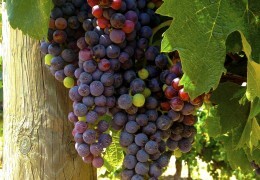 Later on enjoy a wine and cava tasting in a family owned winery in Penedes wine-growing region. Enjoy a horse ride in a scenic, leisurely, guided tour through various charming trails, and experience first hand the beauty that brings so many to the Nature Park. After the horse riding, you go to the wine growing region of Spain, el Penedès, where you will visit a local winery and its underground cellars. 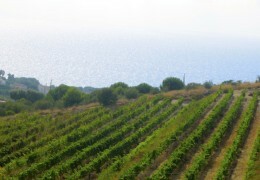 The visit is accompanied by wine and cava (local champagne) tasting. Enjoy Montserrat and visit with us all the hidden places. Have the opportunity to taste the typical catalan cuisine and afterthat taste the sparkling wine (cava) and wine in one the best wineries. One-way transportation from Barcelona airport to central Platja d’Aro and to the Official SwimRun Costa Brava Hotel in Platja D’Aro. Travel in a comfortable vehicle with the rest of your team mates and other Swimrun Costa Brava athletes. 3 star hotel in a unique, distinguished place in a small hidden bay (or “Cala” in local language). 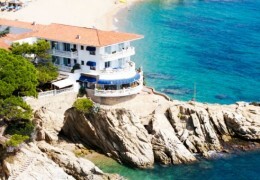 The official SWIM RUN COSTA BRAVA accommodation is reserved for SRCB athletes and staff. 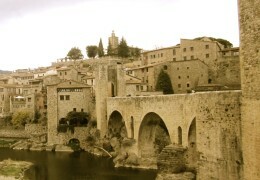 A combination of Barcelona’s vibe, Catalan food, local traditions, and unique restaurants. 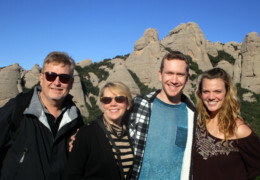 Private Montserrat Monastery and Natural Park Tour with traditional lunch! 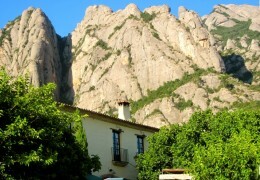 A few kilometers away from the busy Barcelona stands one of the most impressive mountains of Catalonia. 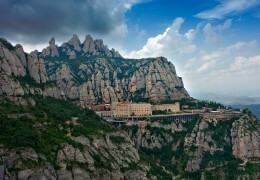 Montserrat transmits peace and tranquility mixed with large doses of adventure and mystery. 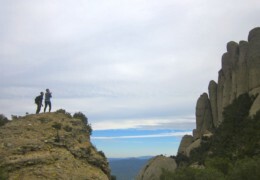 Walk between the spectacular flora, impressive mountain formations while having amazing views and learn everything about popular legends and great miracles of Montserrat. 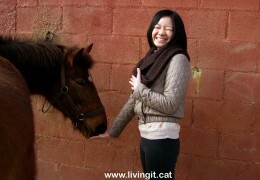 Enjoy a private horse riding tour in a Nature Park near Barcelona. 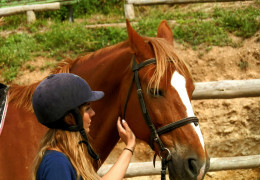 You and your group will decide weather you rather enjoy a calm and relaxed riding tour along the trails of the Catalonian landscape or trot and gallop in an exciting experience. Head straight to the wine-growing region of Spain, El Penedès, home to several prestigious vineyards – known locally as “cellers”. Learn all about Cava, a high-quality sparkling wine, as you visit one of the finest bodegas in Spain. Enjoy a wine tasting session (still and sparkling wines and cavas) in the Wine Capital of Spain and experience a Catalan festival. 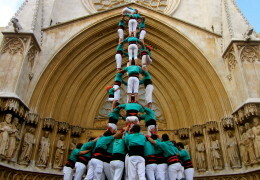 See a human tower display- a tradition noted as a UNESCO Intangible Cultural Heritage. 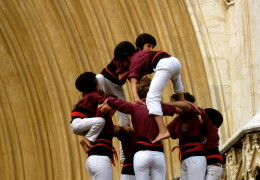 if you will you can take part in a human tower display (optional). 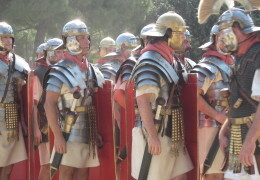 The tranquillity of the blue Mediterranean Sea, the luxury of our chic boutiques, the present eco-consciousness, the Modernism buildings in our skyline, the old Roman remains in every corner, the multicultural art presence all around, the delicious local food, the marvellous friendly locals…. 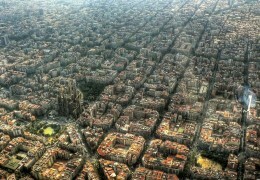 This is Barcelona! 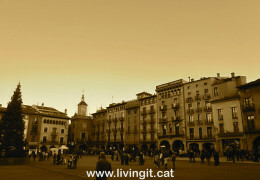 Come and uncover their beauty in a half day walking tour with us! 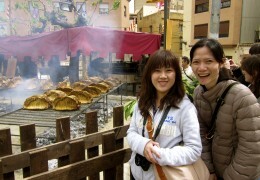 Get the opportunity to visit Sitges and taste their famous “xató”.